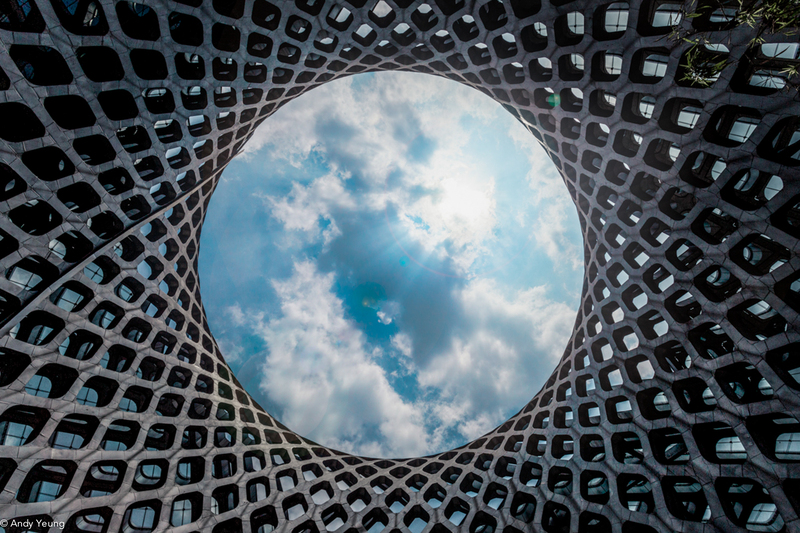 Photographer Andy Yeung’s message is simple: just look up. 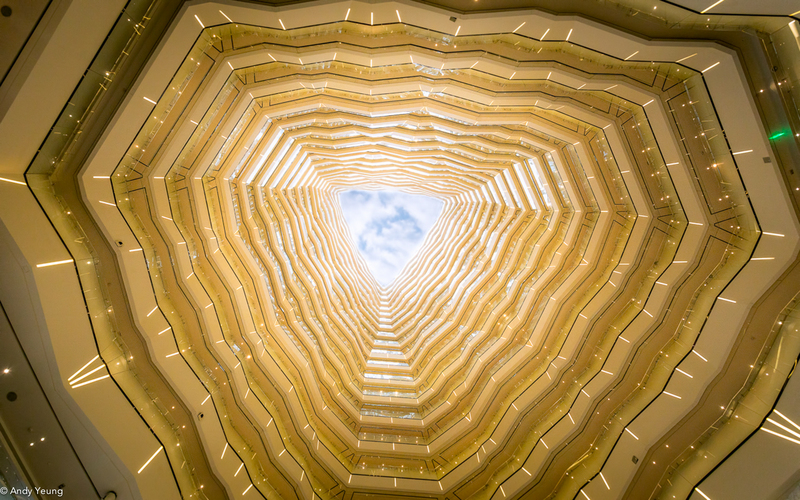 Growing up in Hong Kong, where he is still based, Yeung saw geometric repetition and patterns of light hidden in the sky-high structures of the city. 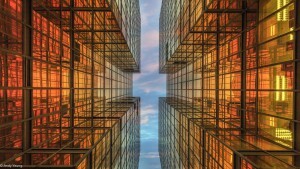 He began photographing these elements of the high-rises and skyscrapers he saw; the result was “Look Up,” a series that he hopes will make people reconsider their everyday surroundings. I asked him about the hidden textures that he finds in skyscrapers and how he chooses his subjects. How did you begin photographing these buildings, and why did you choose this perspective? I’m a born-and-raised Hong Konger who’s keen on architecture and landscape photography. I developed a passion for photography at an early age when I received my father’s old camera as hand-me-down. I believe that a great photograph can speak to people’s emotions and make people stop and think, and that’s what I’ve been trying to achieve. For the past decade, I’ve been traveling to different parts of the world trying to capture the beauty in both architecture and nature. Hong Kong is a crammed city with lots of high-rises and skyscrapers. It’s smaller than New York in terms of size, but its skyline, made up of 7,000 skyscrapers, is longer than that of New York. I notice that commuters in Hong Kong go in and out of these high-rise buildings every day with their noses buried in their phones, not noticing how interesting these buildings look. As a born-and-raised Hong Konger, I’m deeply concerned that people are so wrapped up in their own lives that they just don’t take notice of the beauty around them. 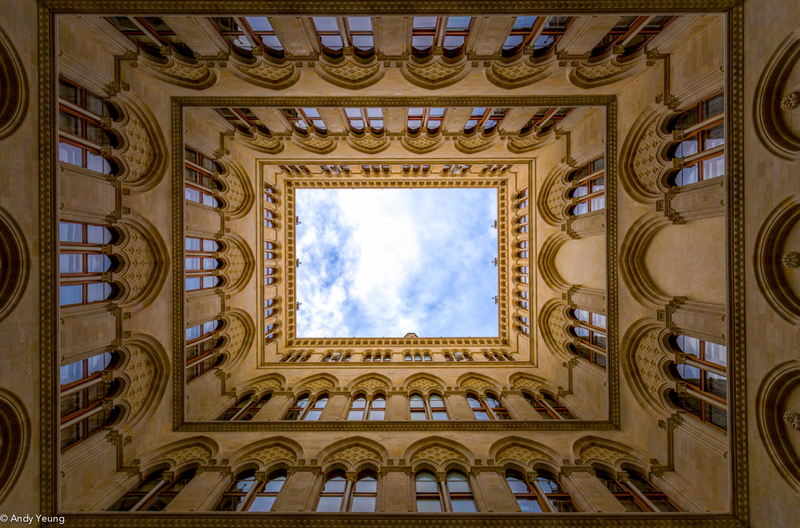 I decided to put together a series titled “Look Up,” hoping people can put down their phones, look up and appreciate the beauty of architecture that they see every single morning. 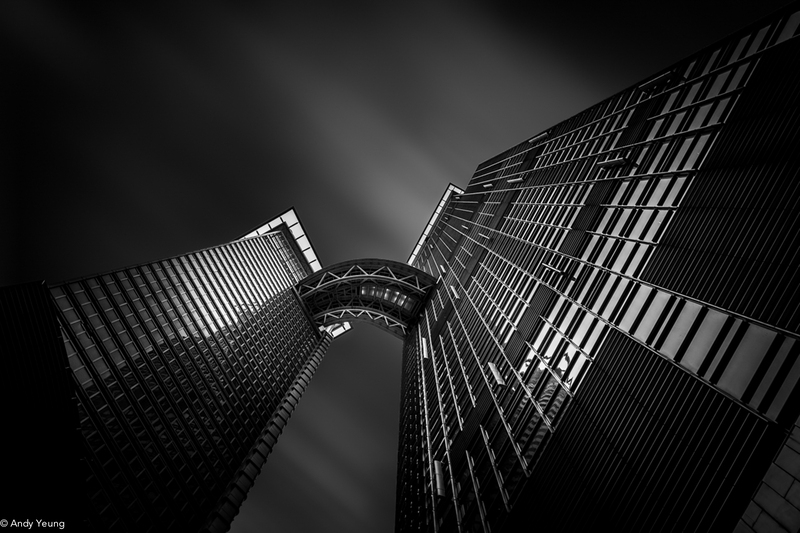 How do you decide what buildings to photograph? What qualities of a building are you attracted to? I choose buildings with unique appearances or interesting textures. 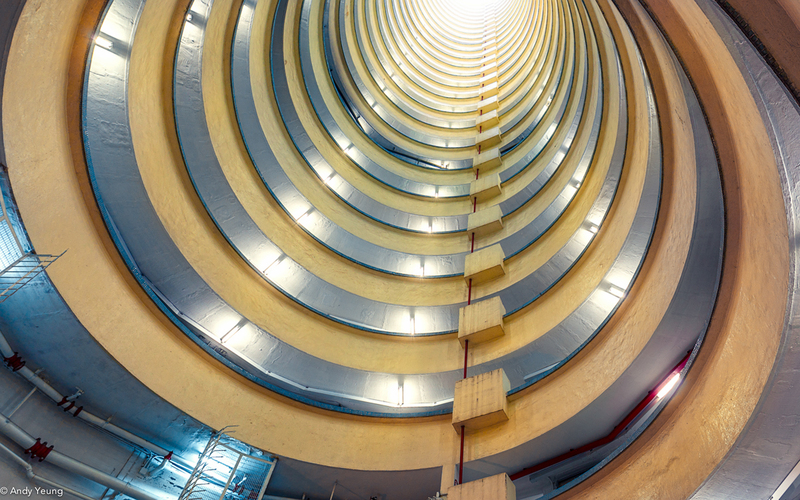 I’m also intrigued by those old public housing buildings in Hong Kong with repetitive geometric patterns. My favorite site in the city is Victoria Harbour. What is your process of composing a photo? I usually don’t rush to take building shots right away. I first take a close look at the outside of the building and take time to think about the possible good angles according to the building structure and texture. I don’t think I should try to include everything I see in one single image. I like to keep it simple. In terms of the shooting time, I prefer the “magic hours,” when the light is most beautiful. The message I’m trying to send is that people should start to pay attention to the buildings they see and spend time in everyday. The focus is on buildings not the people, hence the no-people choice. What is your favorite photograph that you have produced? 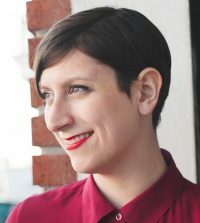 Can you tell me about the process of creating it? 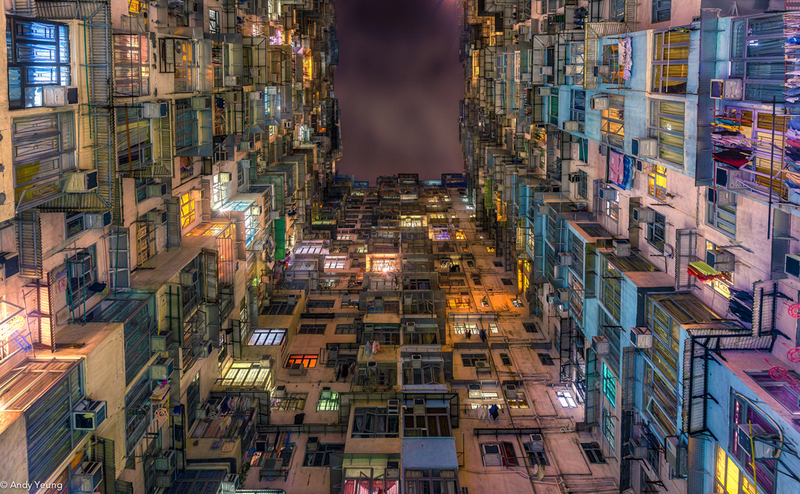 “Compact City” – Quarry Bay, Hong Kong. This is one of locations where “Transformers: Age of Extinction” was shot. I love the fact that the building is rich in colors. It looks like a disaster area at first glance, but when you look closer, you will see it’s not that chaotic. This is very characteristic of Hong Kong architecture. I took the picture, then edited it with image enhancement techniques like color correction and selective color adjustments and image retouching techniques, removing other objects from the photo. You can see more of Yeung’s photos below.